Ensuring all patients receive high quality elective care without any unnecessary delay is a key national directive. This elective care e-learning programme delivers essential knowledge and understanding of referral to treatment pathways and wider elective care principles, standards and rules. The programme is designed to be used by a variety of NHS staff working across a range of organisations who are responsible for managing patients along elective pathways and / or delivering national elective care standards. The programme is broken down into ten short sessions which are structured in a chronological pathway order. All staff are required to complete the first two sessions, Elective Care Foundation and RTT Basics. Following this, each user should then undertake those sessions specific to their role, as agreed with their line manager. At the end of each session is a five question assessment. Participants will pass the assessment if they answer 4 out of 5 (80%) questions correctly. A further reassessment is available should they not achieve a pass on the first assessment. A certificate is available on the successful completion of the session and assessment for users to download and/or print. 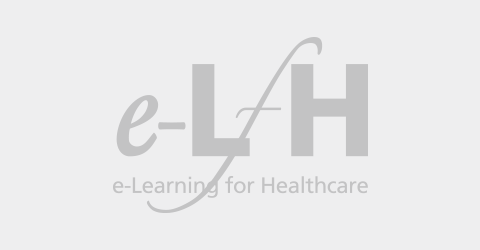 If you already have an account with e-LfH, then you can enrol on to the Elective Care programme by logging in to the e-LfH Hub, selecting My Account > Enrolment and selecting the programme. You can then access the programme immediately in the My e-Learning section. The Elective Care programme is also available to NHS healthcare staff via the Electronic Staff Record (ESR). Accessing this e-Learning via ESR means that your completions will transfer with you throughout your NHS career.